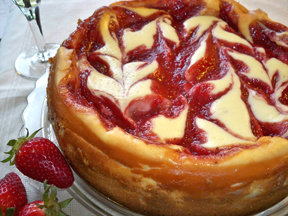 Rich and delicious, this Strawberry Swirl Cheesecake is perfect for any spring celebration. 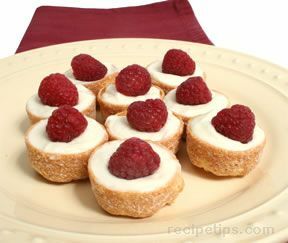 The creamy cheesecake complements the fresh flavor of the strawberries for a delightful dessert. 1 can sweetened condensed milk, 14 oz. Combine graham cracker crumbs, sugar, and butter. Press into ungreased 9 in spring form pan. Refrigerate for 30 min. In blender combine strawberries & cornstarch. Cover and process until smooth. Pour into saucepan and bring to a boil. Boil and stir for 2 min. 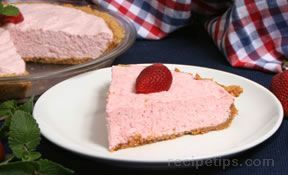 Set aside 1/3 cup for serving; allow the strawberry sauce to cool. In mixing bowl beat cream cheese until light and fluffy. Gradually beat in sweetened condensed milk. Add lemon juice and mix well. Add eggs; beat on low just until combined. Pour half of cream cheese mixture over the crust. Drop half (after 1/3 is set aside) of the strawberry sauce on cream cheese. Carefully spoon remaining cream cheese mixture over the top of the strawberries. Drop remaining strawberry sauce on top of the second layer of cream cheese. Use a knife to cut through layers to swirl strawberry sauce. Bake at 300° F for 45-50 minutes or until center is almost set. Cool on wire rack for 10 minutes. Run knife around edge to loosen. Cool for 1 additional hour. Refrigerate overnight. Remove side of pan. Serve reserved sauce (the 1/3 cup) with the cheese cake. Store leftovers in fridge. 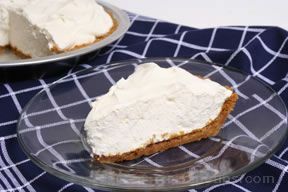 "This cheesecake was kind of putzy to make but well worth the time. It turned out as pretty as the picture and was scrumptious."